We believe that trust and being trustworthy set the foundation for any successful, long-term relationship. We have worked through extensive re-building and repair of all types of structures. Working on existing homes and matching finishes, appearance and bringing old to new seamlessly are part of our service. 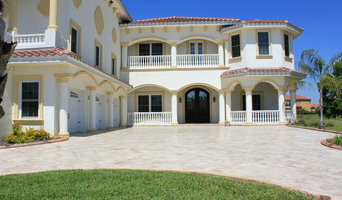 We devote the attention and resources to provide our customers with a truly personalized home. We have extensive experience in renovation projects that enable owners to remain in their homes. These include modifying a bath to have a roll in, curbless shower, relocating a Master Suite to the first floor, or adding safety features. Contact us for your home design needs! At KHP Homes it is our mission and responsibility to create your perfect dream home. We combine green building practices with the latest technology to make your home the best place for you! At Taralon Homes we are passionate about what we do. We take the time to find out what you really want in your new home and focus on designing a flexible plan that works for you and your family. Stress Free Construction has a terrific track record of completing design-build development projects on budget while incorporating the client’s vision. We provide feedback on costs and feasibility throughout the design process. Our goal is to encourage client participation along with the architect, engineer, and contractor to achieve a streamlined and cost effective project. This collaborative approach allows the project more flexibility, thereby creating significant opportunities for innovation and design improvements. As with any major construction project, there are dozens of ways to approach a problem. With every major player communicating back and forth, we often achieve a synergy that will provide “out of the box” solutions greatly improving your project’s design while lowering costs. For 30+ years, we've specialized in bath and kitchen remodels as well as new home construction. Serving over 600 customers, we've demonstrated professionalism, high quality, and great service. Jennifer Garcia Architecture Studio, LLC is a boutique, residential architecture practice. I focus on providing thoughtful designs and exceptional value by supporting my clients throughout the entire process. My Philosophy: •Your quality of life can be improved with great design. •Our communities can be enhanced for generations to come with beautiful architecture. •You should find designing your home to be a delightful and rewarding experience. I want you to enjoy the design process and be enthusiastic about your new home. •I have talent and specialized skills to make your unique wish list, needs, style, and site into your dream home. •I solve problems and create practical solutions while designing a home that is attractive and inspired. •The best projects are a result of teamwork between the client, the architect, and the contractor. •Years of architectural experience and knowledge can help you identify areas to save cost and avoid costly mistakes. •Your home is an investment and you should hire someone who is properly educated, licensed, and insured. We propose that instead of thinking about that next vacation for months, make your home an incredible destination that you love coming home to every day. Our experienced team has been operating in the specialties of home & commercial remodeling, additions, renovations & construction since 2003. We offer design/build services with free consultations. With more than 20 years of experience, we put our heart into every home we build, including new home construction, residential renovation & restoration, and commercial construction. 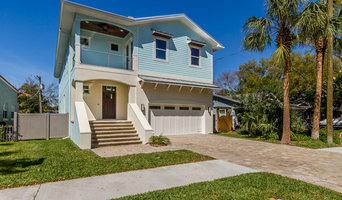 Bay Harbour Homes is a Tampa Residential Design Build firm specializing in Custom Homes and Renovations. Constantly innovating to improve our systems and processes, we emphasize well integrated, healthy and sustainable construction. Our designs reflect originality, diversity and client desires. WCI, a Lennar company, is a luxury homebuilder with established expertise in developing lifestyle-oriented, upscale communities. See what WCI has to offer. We are a group of experienced architects, designers, draftsmen and visualization specialists, who possess an extraordinary depth of expertise. For the past 24 years, Robert H. Delafield, Inc. has been engaged to complete many distinctive projects. An important component of our business are the relationships we establish with our clients. We have 60 years of experience and a superior reputation in building high-end, high-quality homes throughout Tampa Bay. We’re still here, we’re still building, and we’re still making dreams come true! Sharp Design Studio, LLC is a comprehensive residential design firm located in Tampa Florida. We develop unique, quality home designs with your needs in mind. All of our homes are designed and built to the highest industry standards and include an array of the finest products and technological advances available to builders today. My name is Peter Bennett and I'm the founder of Blake Building. I always knew I wanted to turn my passion for home renovation and architecture into more than just a hobby. In 1993, I took my experience as a contractor and architect and co-founded Samter Homes in Tampa, Florida. For nearly 20 years, Samter has successfully built hundreds of townhomes and multi-family units throughout Tampa Bay, while also building a solid reputation of quality and integrity. In 2009, the industry saw an increase in residential renovations and new home building and as a result I created Blake Building, a new division of Samter geared to the changing home marketplace. 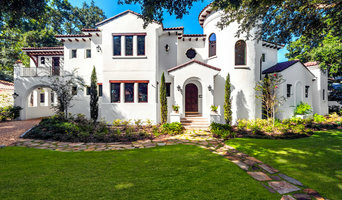 With a goal to be Tampa’s premier single family home builder and home renovation contractor, Blake Building focuses on new home construction and home renovation. Named after my son, the new division was a natural progression for my company. Build the house of your dreams. The Award Winning Ramos Design Build will create a custom home that will not only resemble your dream it will exceed it. Get it built right the first time. Here at Forge Building Co. Our experienced team of design and building professionals will guide you through the homebuilding process, educating you and addressing your needs every step of the way. Our goal is to encourage client participation along with all parties to achieve a streamlined & cost effective project. This allows for significant opportunities for innovation and design. Jennifer Garcia Architecture Studio, LLC is a boutique residential architecture firm. We focus on providing excellent customer service and supporting our clients throughout the entire process.